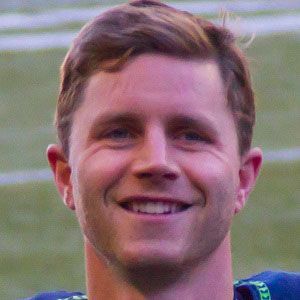 NFL kicker who spent a number of years as a journeyman before securing a starting role with the Seattle Seahawks in 2011. He played college football at Middlebury College and NC State. He tied a Seahawks record for made field goals in a game in week 10 of 2011 when he hit 5 against the Baltimore Ravens. He was born in Needham, Massachusetts. He became one of the top kickers in the NFL in 2013, when he helped provide steady, reliable support to the Seattle offense led by quarterback Russell Wilson.